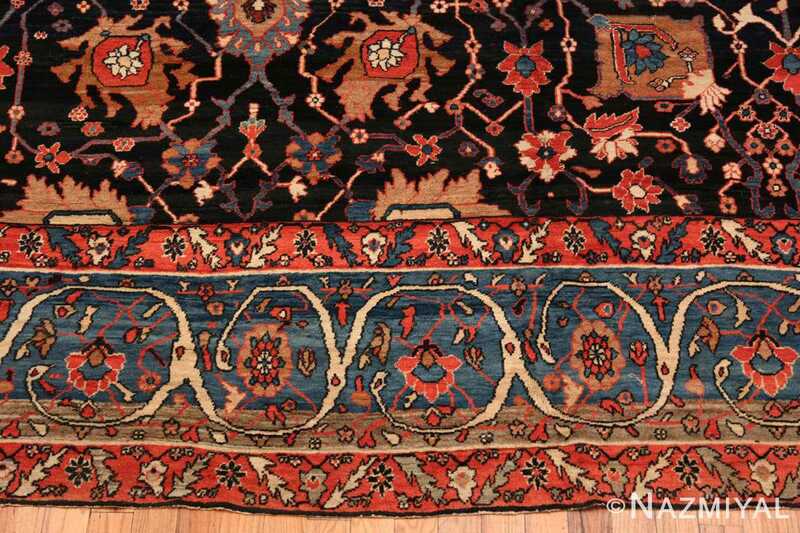 This exquisitely ornate antique rug from Persia features a dark field brimming with interconnected floral forms. Each ornate, colorful blossom leads to the next by way of geometrically meandering stems and vines, sprouting with smaller flowers and delicate leaves. The regularly spaced lotuses and other blooms create a symmetrical pattern, full of rich orange, red, blue, brown and white, the disparate colors forming a cohesive whole against the black background. A trio of borders encloses this area, their straight bars filled with interwoven flowers and leaves on this Bakshaish rug. 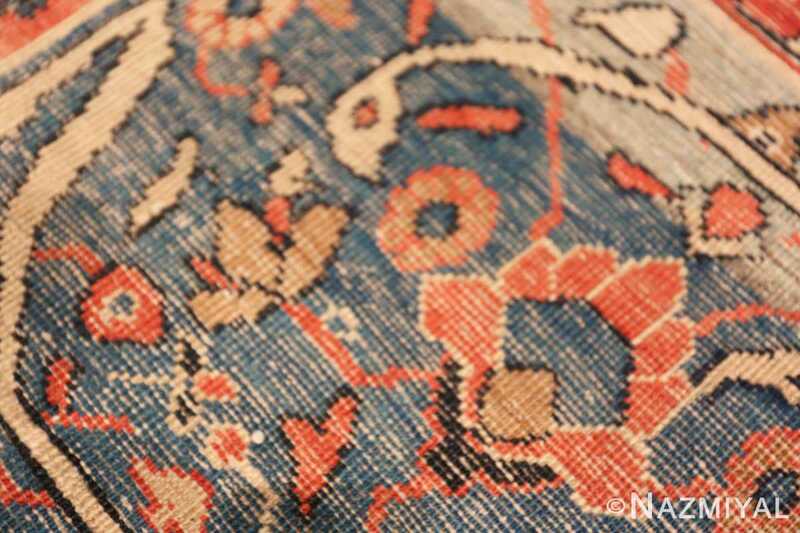 The central, widest band is backed in blue and white arabesques sweep through the muted shade like vines seeking a hold. 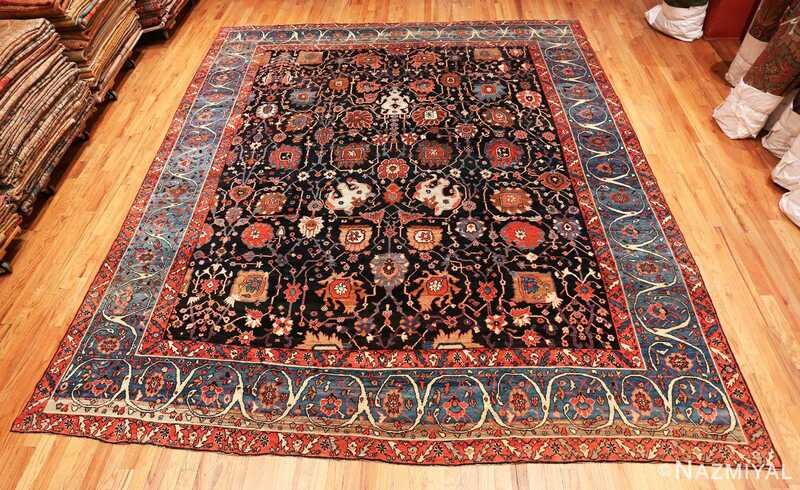 A Beautiful And Rare Vase Design Antique Persian Bakshaish Rug, Country of Origin / Rug Type: Antique Persian Rug, Circa Date: 1880– The divine layers of blue evoke a feeling of strolling through a moonlit garden filled with beautiful sights and scents in this Persian vase design rug. 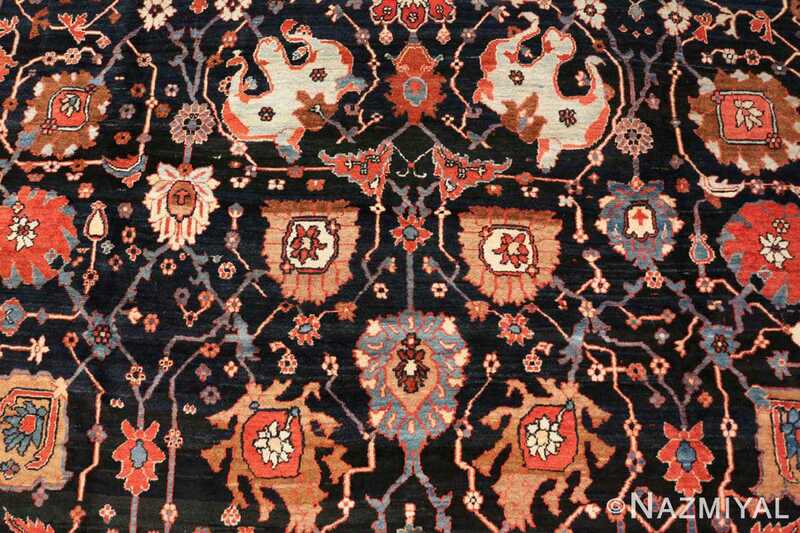 This extremely rare and beautiful antique Persian Bakshaish rug was created around the 1880’s. 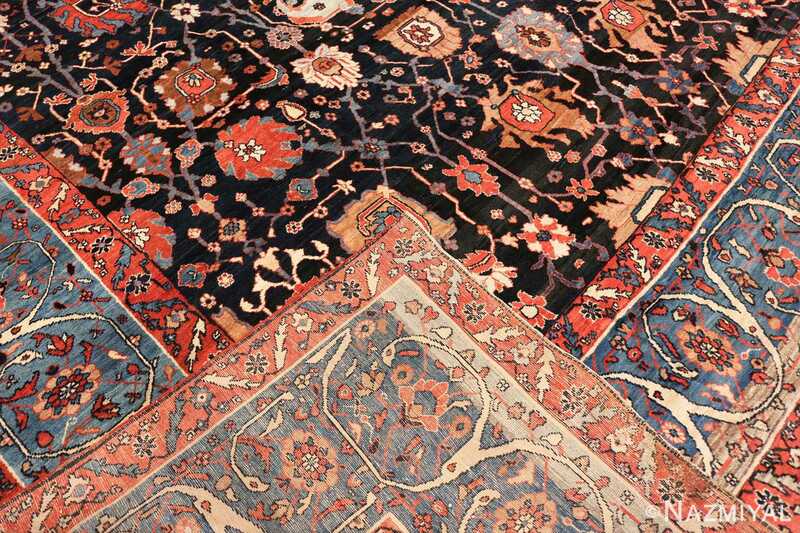 What makes this antique rug stand out is its use of color and contrast, as well is the delicacy of the design. 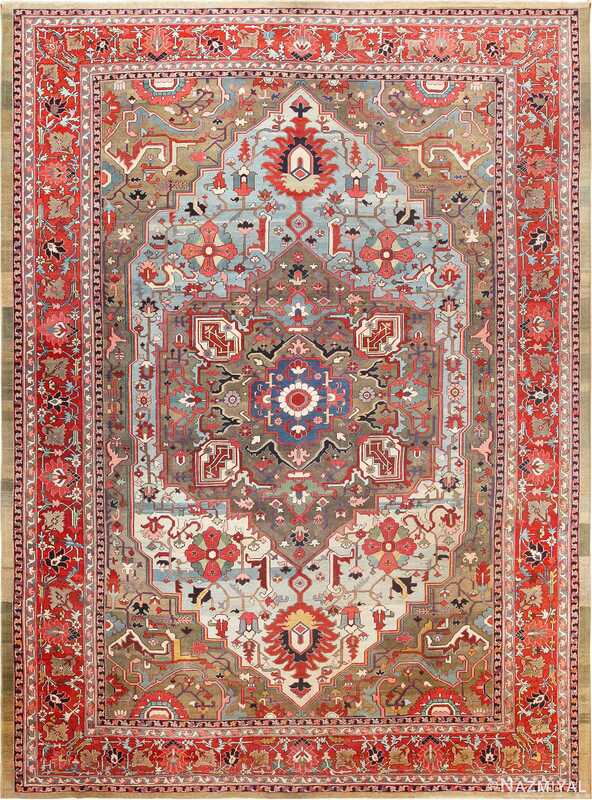 The vase design of the antique Persian rug evokes a feeling of abundance and life springing forth from every corner. The beautiful blues are reminiscent of the night sky that connects all life on earth to the heavens. Perhaps the blue is also reminiscent of the water upon which all life on earth depends. 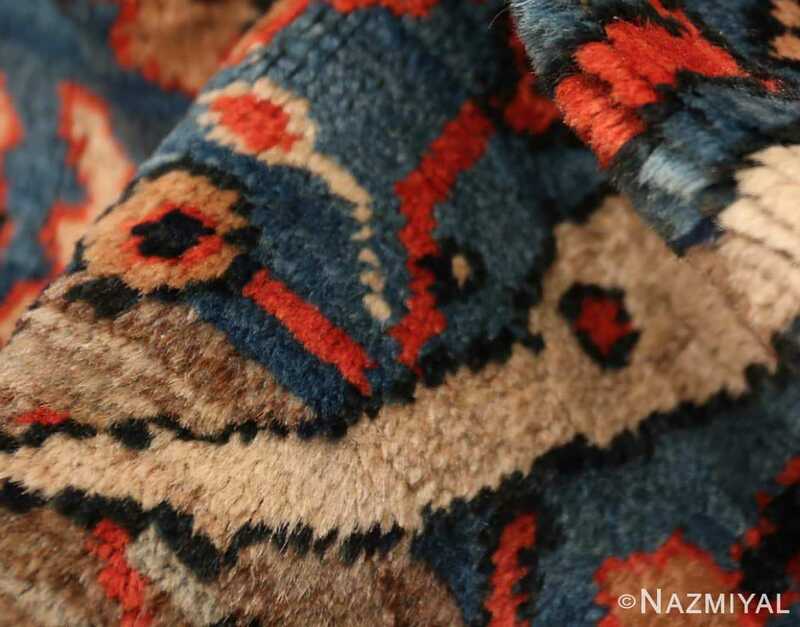 The theme and Persian rug colors used in the antique Oriental rug give it an earthy quality that connects it to the natural world. 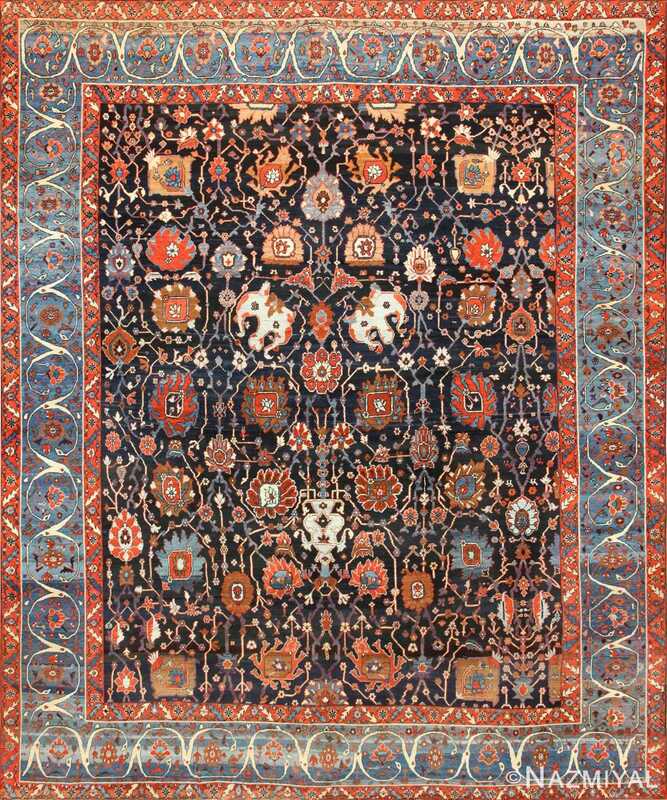 The artist used larger motifs with smaller ones to fill in the background. 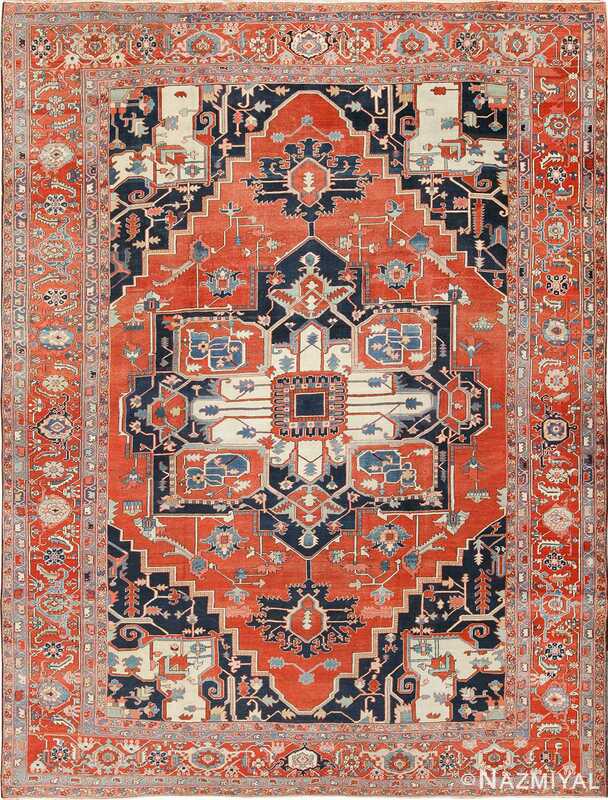 This gives the antique Persian Bakshaish rug depth and texture throughout the design. All of the design elements of this extremely rare and beautiful antique vase design Persian Bakshaish rug come together to create a spectacular piece that would be the centerpiece of any traditional or contemporary design. 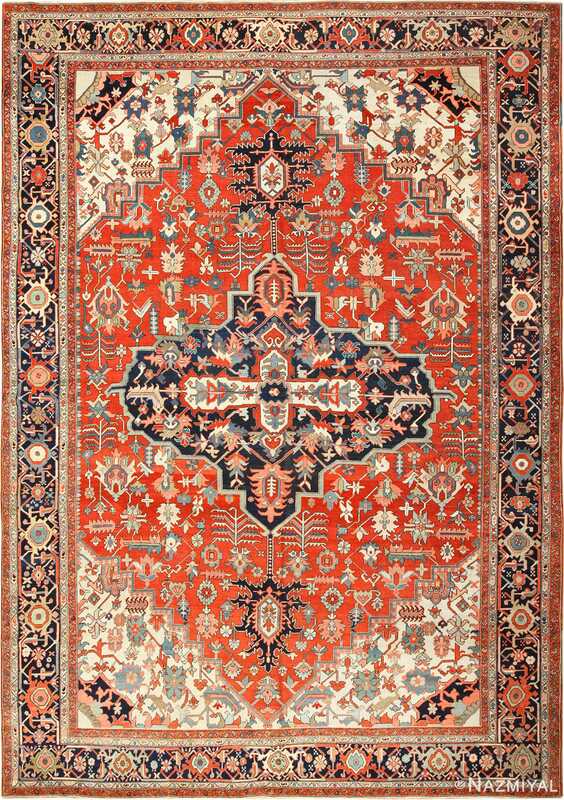 The rich colors used in the antique Persian Bakshaish rug create a sense of elegance and stateliness that captivate the senses and transport you to another time and place. The classic elements of this rug are used in a way that gives it a unique and rare beauty that will be the centerpiece of any collection. 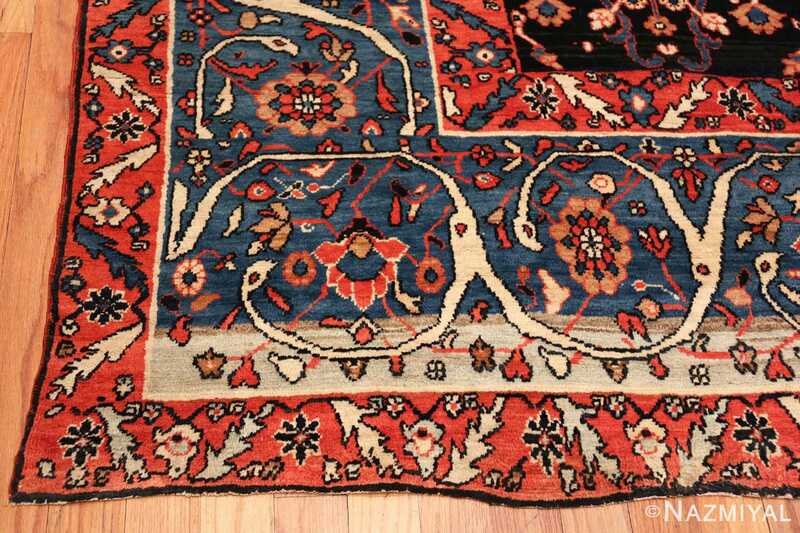 We don’t see vase designs in many antique Northwest Persian rugs which is why this example is so exciting. It gives us a different and somewhat more tribal perspective on this beautiful and quite iconic ancient design.